While the device may have been officially unveiled earlier in the month in Berlin the Samsung Galaxy Note 3 has just been showcased and priced for India, which comes at a slightly higher than expected level. Samsung has been holding an event in Delhi to showcase its new Galaxy Note 3 for Indian consumers, and the handset is priced at Rs 49,900 which is a little higher than earlier claims about the price of the device, although it has to be remembered these were never official. This is for the 32GB version of the Galaxy Note 3 which will as expected be available for purchase from September 25th. The device has a bit of a new look and feel compared to the two previous models in the Note series, and despite the display creeping up to 5.7-inches Samsung has managed to keep the handset at the same size as its predecessor. The specs include a Full HD display at a resolution of 1920 x 1080 with a pixel density of 386ppi, and the version for India will have the Samsung Exynos Octa processor clocked at 1.9GHZ which will eventually be able to run all 8 cores at the same time. There is also 3GB of RAM running the Android 4.3 Jelly Bean operating system, and the company has again added a whole host of new features to the popular S Pen device that includes the likes of Air Command, Action Memo, Scrapbook, and much more. Camera wise the handset comes with a 13-megapixel rear facing shooter with autofocus and LED flash and 4K video capture support, while around the front is a 2-megapixel camera that is capable of Full HD video recording at 30fps. Users are provided with a 3,200 mAh power plant so battery life should be at least as good as the current model, and there is the usual Samsung memory expansion possible via a microSD card up to 64GB. 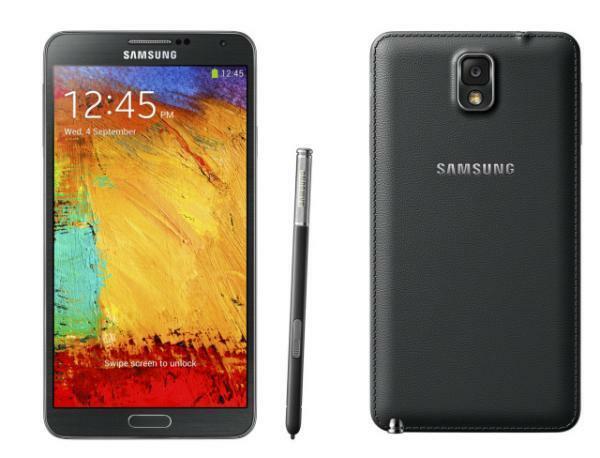 Do you plan to pick up the Samsung Galaxy Note 3? Awesome, it always supports OTG to add storage with Meenova mini reader.